How does a company’s ambition for product innovation go astray? It starts with misunderstanding the word “innovation”. Avoid the buzz word. Instead, describe the reason why you want to innovate. Identifying outcomes vs. outputs is how you do this. An output is a product, service or feature you think you should create (like an app). If you first focus on outputs, you’re forcing your product in a direction you assume your users want to go. Outcomes, on the other hand, are goals. ‘Increasing net profit by 5%’ is a good start. But you also need to think about the user behavior required for the goal. For example, for the outcome of ‘increasing profit by 5%’, the behavior could be ‘increasing the amount of people who sign up to our premium services by 28%’. Being specific and identifying the user’s behavior allows you to know exactly how you’ll achieve the outcome. The solution (or output) is just a means to that end. As a designer, you should always feel empowered to redesign business processes (not just products). Like I explained in a blog post on creating valuable products, the problem with innovation is that it’s usually described an output. By stating that you’re going to innovate, you’re usually implying that creating something totally new is the solution. Let’s look at a sample project statement below. Imagine a CEO or VP of a tech company delivering this message to a product team in the discovery phase. Based on the below statement, is this company following outcomes, or outputs? Sounds like your standard corporate jargon at first. But if we read between the buzzwords, we identify a dangerous mindset. “Identifying future revenue generating opportunities” is the only outcome in this statement. Even then, it’s not identifying the behavior we need to see from our users. Furthermore, identifying outputs (like entertainment and IT services) makes it hard to see the solutions your users truly need. It biases your thinking. You’ve probably heard some version of this story with other large companies. 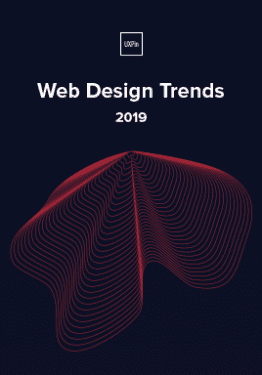 Or, you’ve designed or managed products within a company swept up in the spirit of innovation, only to end up far from your intended destination. In extreme cases, companies might even siphon resources from core business units to funnel into innovation projects. 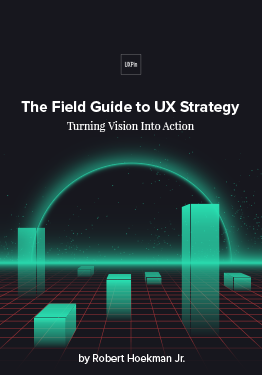 As a UX consultant, I’ve seen the situation play out for far too long in far too many companies. 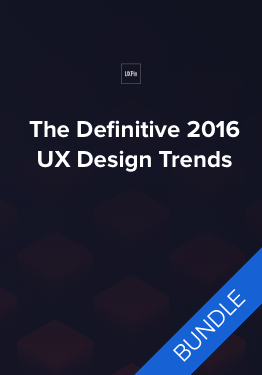 As shown in the Field Guide to UX Strategy, people must come before technology. 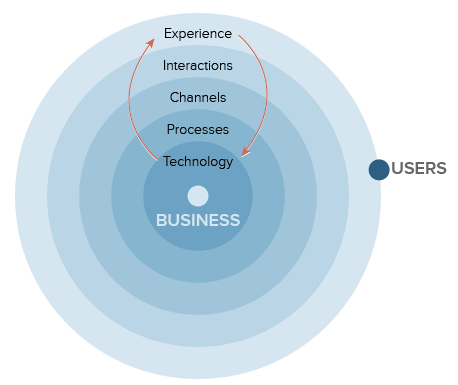 The outputs, technology and features should be shaped by the user experience. This is why we focus on outcomes. You’re not marrying yourself to an output (interaction, channel, process, or technology). It’s a philosophy that was drilled into my design approach when I first started at PwC digital. It rings even truer today. If we shift the example statement to focus on the customer, we come up with a better outcome. The market hit a glass ceiling. We will not win as a business by just entering into a price war. We need to identify revenue generating opportunities. To do that, we are creating a new venture to discover new problems people will pay money to solve. This outcome is phrased from the customer’s point of view. We’re identifying customer problems. We assume nothing about solutions. It’s broad to allow us to explore more outcomes. Don’t confine the team to only creating new ventures. You might be better off improving existing products or features first. Solutions aren’t restricted to the immediate industry. And they don’t need to be created by the company itself. Discovering new profitable problems could mean investing in or even acquiring a start-up. It’s not focusing on a predefined solution. 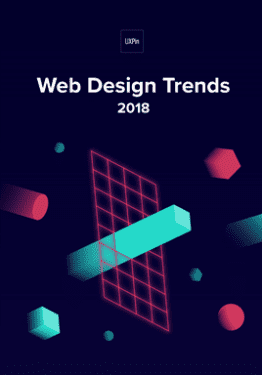 You won’t drag your users down a path of no return. Innovation is a byproduct of focusing on clear, validated outcomes. Everything can be innovative. So feel free to run this exercise on any type of project. Get your project’s key stakeholders to take an hour out of a day (more or less depending on the questions you use below). You can say that your goal is to clarify their vision into actionable next steps (executives typically enjoy any action-based language). Where does our product fit into their life? When and how is our product used? I believe that my customers have a need to? These needs can be solved with? The #1 value a customer wants to get out of my service is? The customer can also get these additional benefits? I will acquire the majority of my customers through? I will make money by? My primary competition in the market will be? We will beat them due to? My biggest product risk is? We will solve this through? What other assumptions do we have that, if proven false, will cause our business/project to fail? 2. Pick and choose what questions work for you. Pass out thick tipped sharpies to ensure concise and highly visible answers. 4. Once time is up, stick the post-its under the question and cluster answers into categories. Give those categories titles regarding their main theme. See the example below for the first Business Assumptions question. After answering these questions, you’ll know what your group thinks about your business and it’s opportunities. 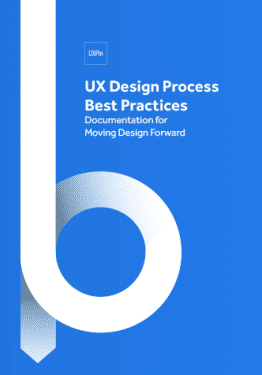 Download 'Interaction Design Best Practices' FOR FREE! It’s now time to create outcomes. Again, this exercise won’t take more than 30 minutes. Remember that outcomes are goals like increasing sales by 5% for a certain group of users. By focusing on outcomes first, you allow user needs to dictate the business processes and technology. We do this by writing as many outcomes as possible on post-it notes. For example: increasing user registration by 10%, decreasing anxiety through the sales channel, decreasing calls to our call centre by 15%. Don’t focus on outputs – for example, new features, services or products. 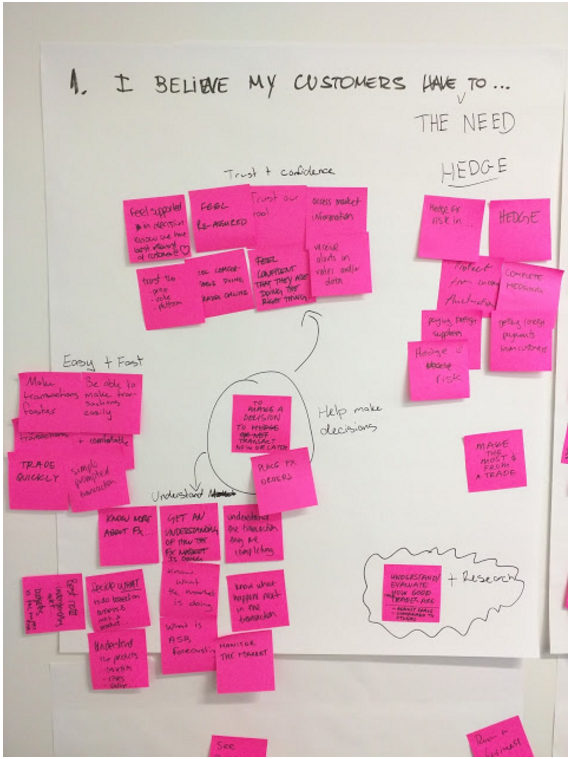 Begin by encouraging team members to write on Post-It notes all the outcomes they want to achieve through this project. Each team member should do this individually for five minutes. Use thick sharpies. When time’s up, each team member sticks their Post-It Notes on a wall. Encourage each person to read each one out loud to the group as they’re stuck up. The group can start clustering similar Post-Its together. Once all outcomes are presented, the team identifies the top three outcomes. For example, the top outcomes for a foreign exchange trading platform might be: decrease anxiety for users when they’re completing high value trades, give professional traders enough information for informative decisions, and decrease help center calls by 15%. You’ll now have clear outcomes that give you direction when making decisions about your product, service, or business. Of course, effective outcomes must be driven by facts. After these two exercises I just described, you’ll want to interview your users, 5 people per persona group, to validate the assumptions. When you’re done, you’ll understand the gap between your assumptions and the outcomes. 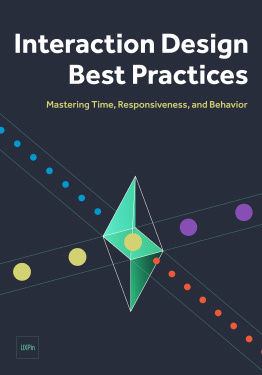 That knowledge helps the organization understand if and how to revise their current activities (which are based on assumption) to refocus towards the outcomes. Innovation isn’t something intangible you strive for. It’s the calculated result of validating your proposed solutions against user needs. Successful innovation just as much about your current business as it is about your future business. If you suffer from arrogance neglect and don’t focus on outcomes, your business may not live long enough to see your innovations succeed. But if you’re focusing on the right outcomes, innovation will happen naturally – and for the right reason. 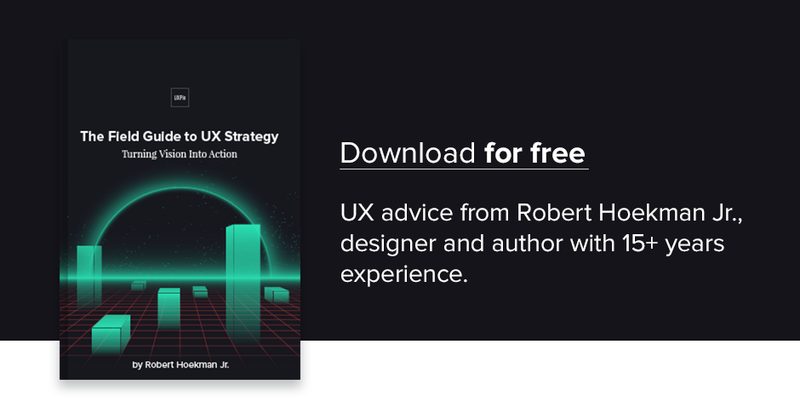 For more UX advice, you can check out the free Field Guide to UX Strategy by renowned designer and author Robert Hoekman Jr.